We all know the famous starfish story. A little boy walks along the beach bending down, picking up a starfish, throwing it back into the sea. 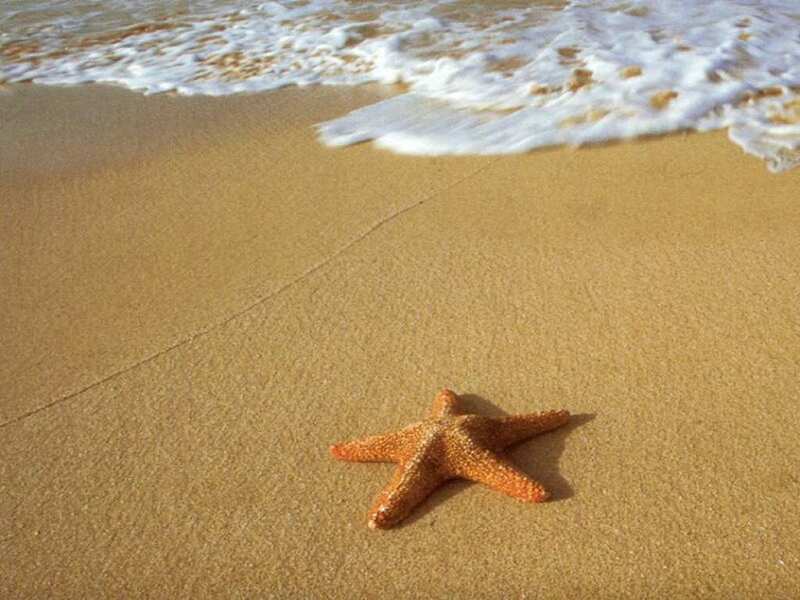 A man asks the boy why he does that, and he says that the starfish will die if left on the beach, shriveling in the sun. Boy replies, “It makes a difference to this one,” referring to the starfish he is holding, and proceeds to throw it back into the sea. Moral of the story, everyone can make a difference to someone else’s life, no matter how small. A smart boy came along and says, this way of throwing starfishes one by one, is too slow. So in his spark of brilliance, he invented a machine that can scoop many starfishes at one go, and throw them all into the sea. This made the pace of saving starfishes much faster, and more efficient, saving more starfishes. And the boys were happy. But this led to a problem. The starfish machine needed maintenance and a way to sustain itself. So along came another smart boy and said we need an investor to invest in the rescue of starfishes and fund the continued running of this machine. So the 3 boys talked an investor into it, and funds came in. But in order to ensure that the money he invests is indeed saving starfishes (and not just scooping up sand), the investor needed to see KPIs and see his business expand year after year. So the 3 boys improved the machine so that it can track how many starfishes were saved in each scoop, and report the numbers of starfishes saved in a year. To fund the improvement, they found another beach to also save the starfishes there. This got on for a while, with more and more starfishes being saved, and more and more beaches covered. The starfish rescue team got much respect, and got elected and named as the “protectors of the starfishes”. One day, the reef protection group started to notice that the exponential increase in starfish population due to the effort is upsetting the balance in the reefs. So the starfish rescue team met the barrier reef protection team and both fought very hard for their interests, because they all felt very strongly for their causes. Soon, another starfish protection group started to lobby to stop the starfish scooping operation altogether, because the increased population of starfishes is causing the starfishes themselves to starve from lack of food. And as the groups debate and fight with their highly sophisticated statistical charts, another group comes along and criticize the boys for causing so much problems for the starfishes. They ridicule the boys publicly, saying they are unfit to protect the starfishes and start to talk about purging them from the beach. The chief leading this effort to oust the boys became very popular and his group took over as the “protectors of the starfishes” because they dared to stand up against the original group and complained about what they did. As they celebrated their victory, the starfishes were forgotten. The original boy, who just wanted to save starfishes from shriveling up in the sun, was very sad but there was nothing he could do. One day, as he was strolling on the beach, he picks up a starfish and throws it back to the sea. He picks up another one, and repeats the action. As he begins to throw each starfish, one at a time, back to the sea, another boy joins him. The new boy then says: “It’s not too late for this one,” as he picks up a starfish and throws it back. It’s never too late to make a change that matters. We have our wonderful HDB and CPF (Editor: And COE) and many more good things. But perhaps time to stop defending them and go back to basics. » Why does PM Lee wear pink all the time? And other stories. Brilliant! I hope government reads this carefully. this made me tear….when we started we wanted to do better, when all we needed was to do good. To start with – I think no one has evil intentions. We just got lost in productivity and efficiency. If only we remember … going back to basic and what actually we hope to achieve or fight for. People tend to forget and focus too much on doing well as defined by own perspective(s). Assurance that what we are fighting for must come. Let’s not complicate things and stop the “repackaging” of policies/programmes. Look at the real help and if the “starfish” is helped. And the point is? Productivity and efficiency is bad and will make us lose purpose? Jamie, the point is probably more that productivity and efficiency has to be purpose driven, and defined in relation to the purpose. but the story is written to reflect what I observe and feel about certain things, so it’s also open to interpretation. i’m glad to have made some of you think abit more about these things and form your own perspective.